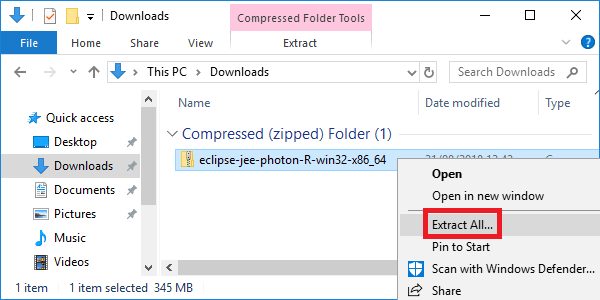 Looking to download and install Eclipse Photon on Windows? 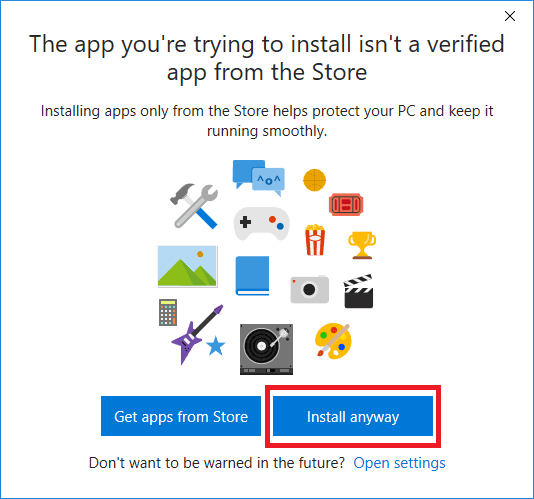 Check following post if you are looking to download and install Eclipse Mars or Eclipse Neon. 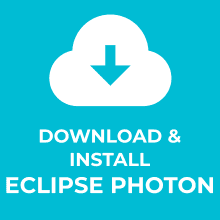 Head over to the Eclipse Photon Packages download page. 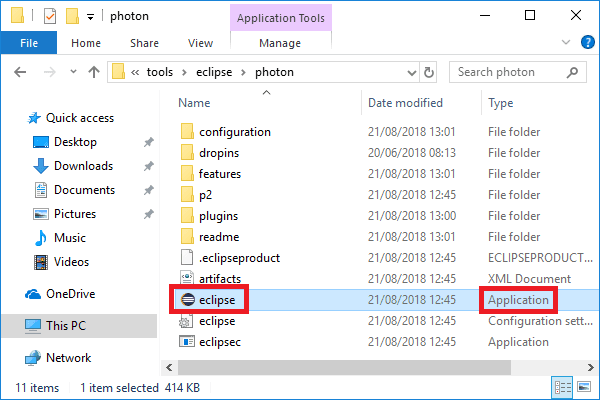 Select an extract destination for the Eclipse Photon files. 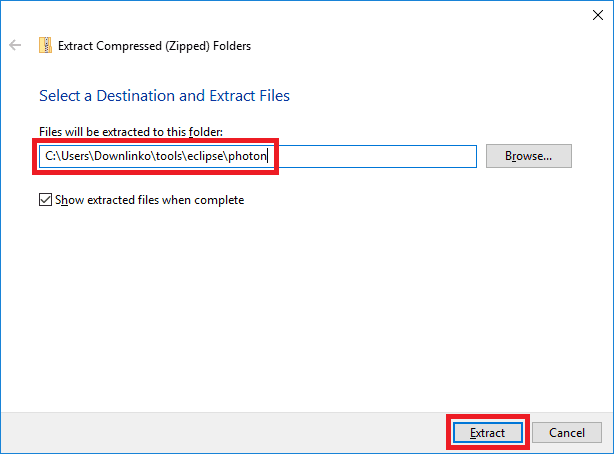 In this example, we extract in C:\Users\Downlinko\tools\eclipse\photon. Click on Extract. 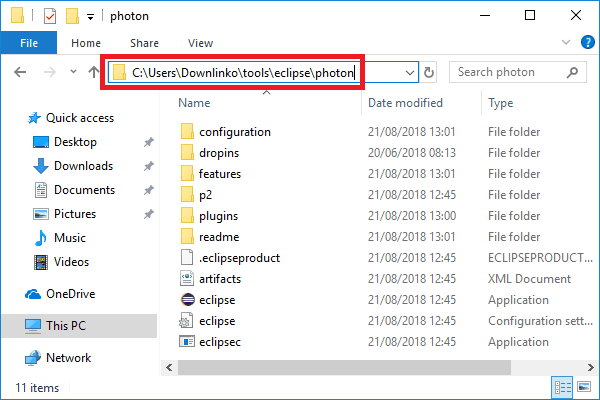 This extracts all Eclipse Photon files under C:\Users\Downlinko\tools\eclipse\photon. 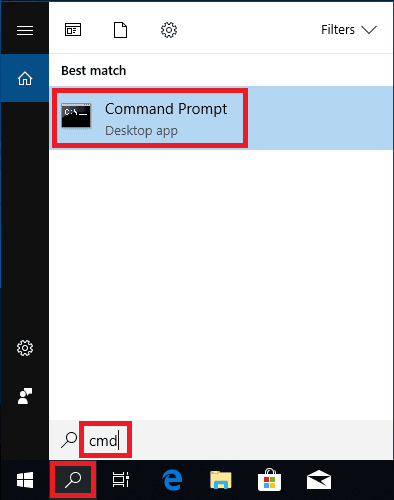 From now on we refer to this location as [ECLIPSE_PHOTON_INSTALL_DIR]. To run Eclipse Photon navigate to the [ECLIPSE_PHOTON_INSTALL_DIR] installation directory. Wait for Eclipse Photon to open. 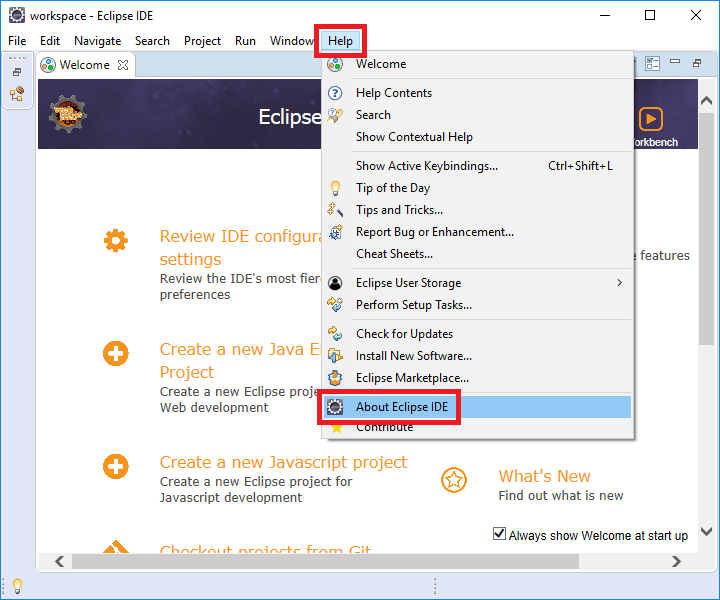 To verify the installed version click on Help and then on About Eclipse IDE as shown below. 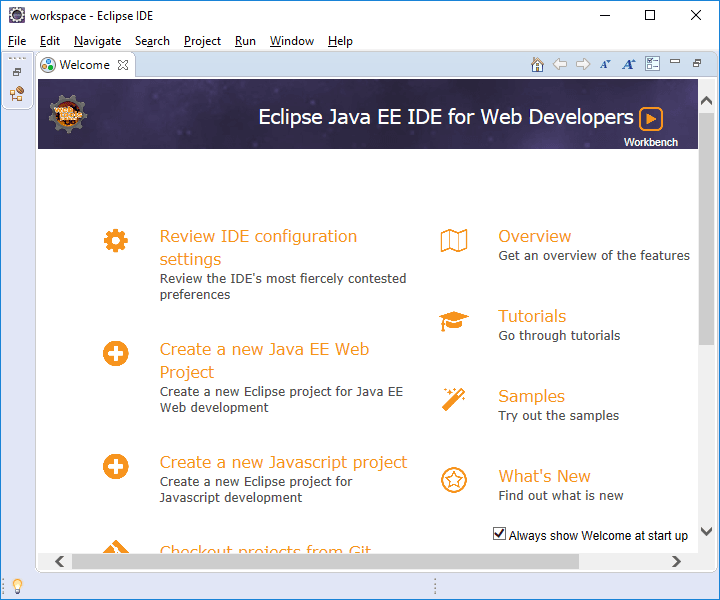 This shows the Eclipse version: Photon Release (4.8.0). 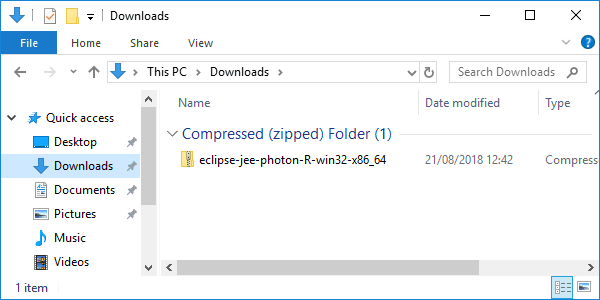 Congratulations, you have installed Eclipse Photon on Windows 10!